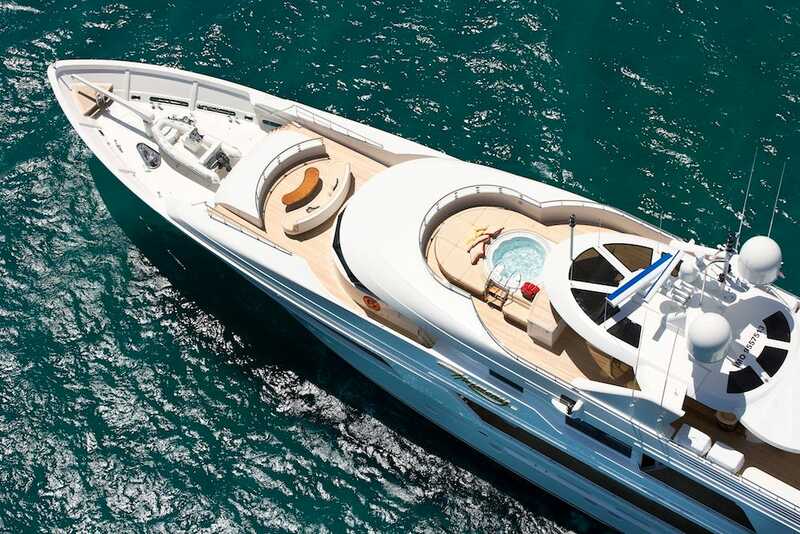 Most luxury yachts are pretty slow, with top speeds under 20 mph. 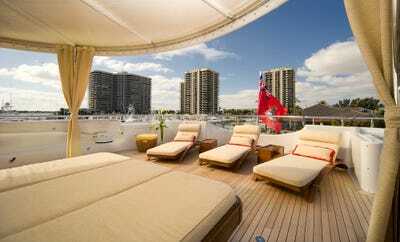 For those who want to spend a relaxing vacation while also getting somewhere on time, there’s Harmony.The luxury yacht has room for 12 guests in 6 staterooms, and is staffed by a crew of 12, with accommodations below deck. 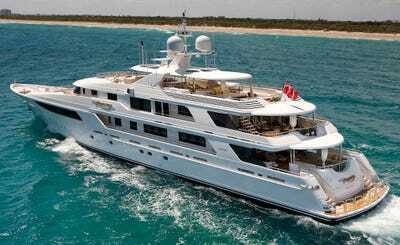 All the decks are accessible via an elevator, and there’s a lot of room on the 164-foot yacht to relax. 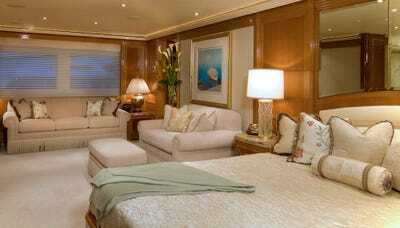 Unlike many high-end yachts, there’s nothing tacky about the Harmony: The decorations are luxurious, but elegant. 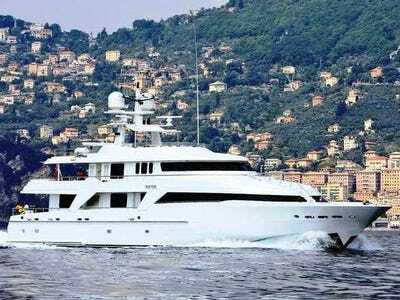 Harmony is listed for sale by Moran Yachts, for $33.75 million. 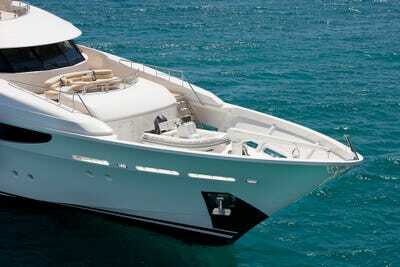 Harmony is powered by a MTU 16V 4000 series engine. It can reach a top speed of 23 knots (26.47 mph) and cruise at 20 knots (23 mph), pretty speedy for such a large boat. And her draft is only 8 feet, so she can sail in shallow waters. The VIP lounge has a large screen television and a card-playing table, plus comfortable couches and armchairs. Around the corner is this oddly large shell. The new owner might want to change out those curious, nearly-square pillows. The ones on the couch in the pilot house could be replaced, too. 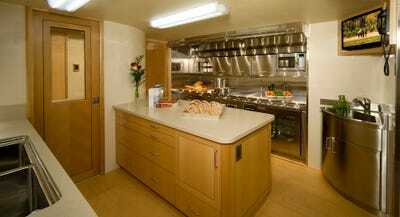 The fully-equipped galley looks like what you would find in a nice home. 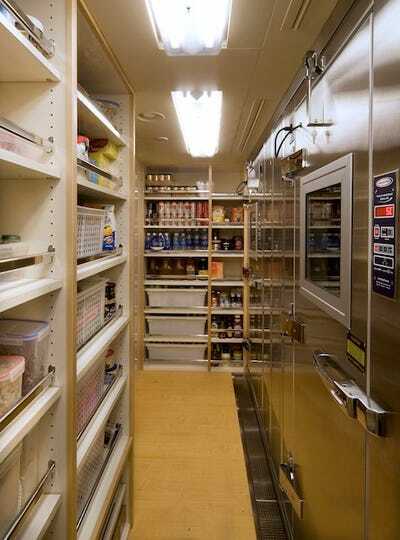 And there are plenty of supplies on board. 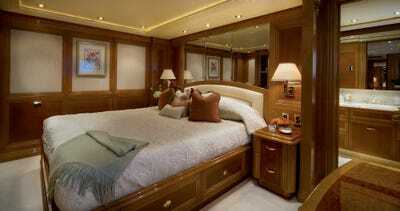 In total, there are six cabins on Harmony. That's enough room for 12 guests. There's a great Owner's Office, if you need to get some work done. Presumably, the personal photos will be taken out before the yacht changes hands. This bathroom has his and her sinks, each set into its own counter. 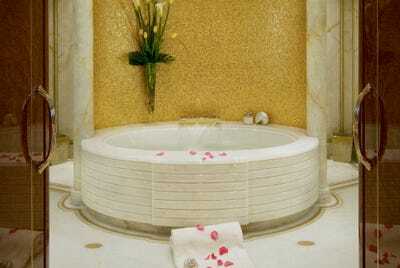 And the bathtub can easily accommodate more than one person. 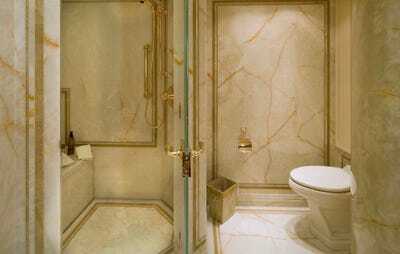 Of course, there's a shower and a toilet, too. 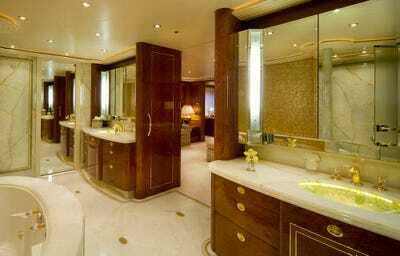 Not every bathroom on board is so nice, but this one is pretty swanky, too. 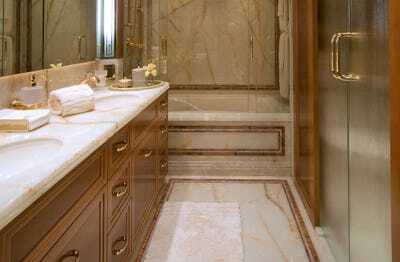 It has his and her sinks, but the guests will have to share a counter. This cabin with twin beds is perfect for kids. There's not a lot of room for them to run around, however. Spending time on Harmony is all about relaxing. 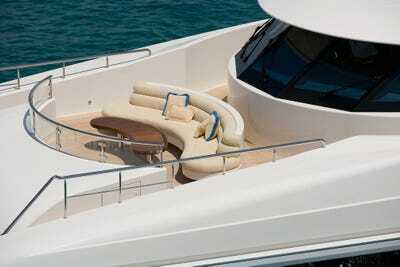 The Sun Deck is accessed from the Bridge Deck foyer, via a powered sliding hatch. 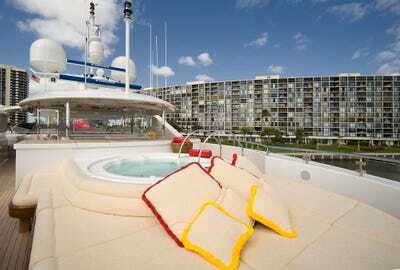 It's equipped with sun lounges and a hot tub. On nice days or nights, this is the perfect place for a meal. 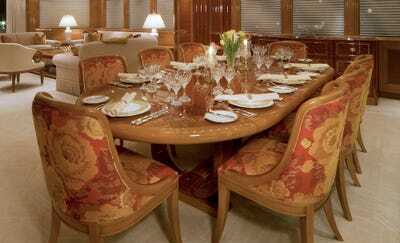 There's a more formal dining table as well. 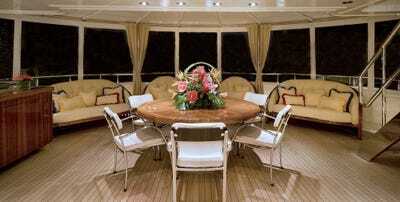 For breakfast, hit the small round table on this deck at the rear of the yacht. It looks like a great spot for a drink, too. Or, sit up front, enjoy the view, and relax. Looking for something less expensive?